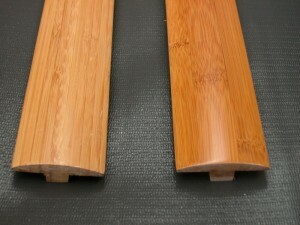 Peerless provides a large range of solid bamboo accessories, designed to enhance the beautiful floor. It’s designed to cover standard expansion gaps, and between doorways and dividing rooms. The centre of the t-mould is 10mm thick, 50mm wide tapering down to 3mm thick.